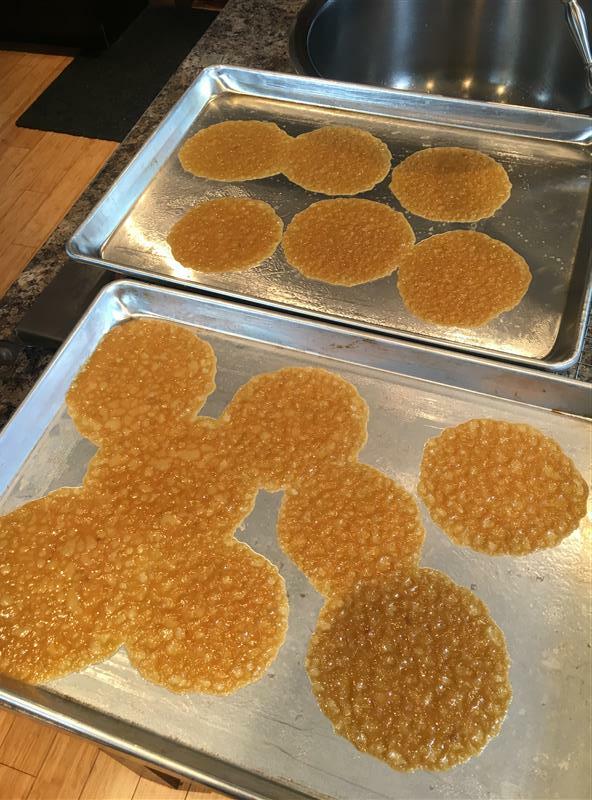 I had a fairly productive baking afternoon on Saturday. 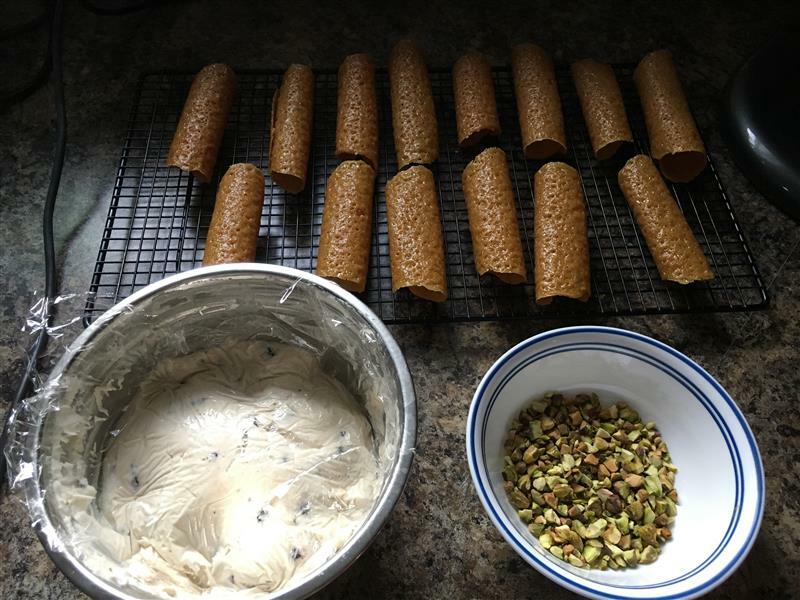 2 loaves of bread, monkey dunkey brioche dough, and all of the components of cannoli: brandy snaps, filling, and chopped pistachios. 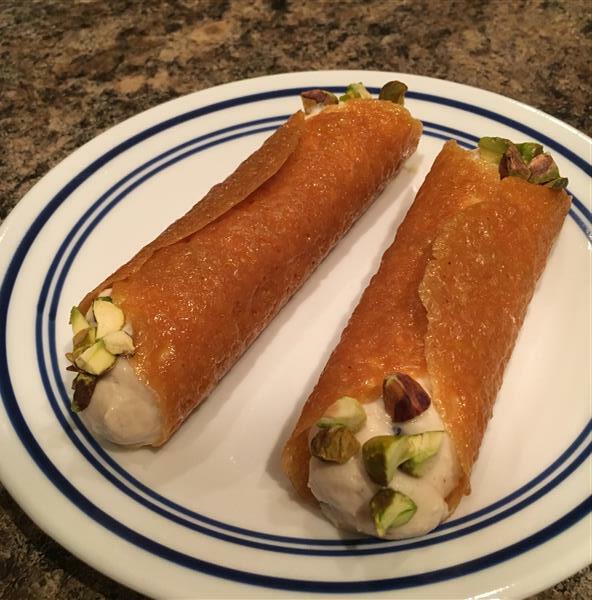 My brandy snaps for the cannoli shells were apparently poured a little close together. 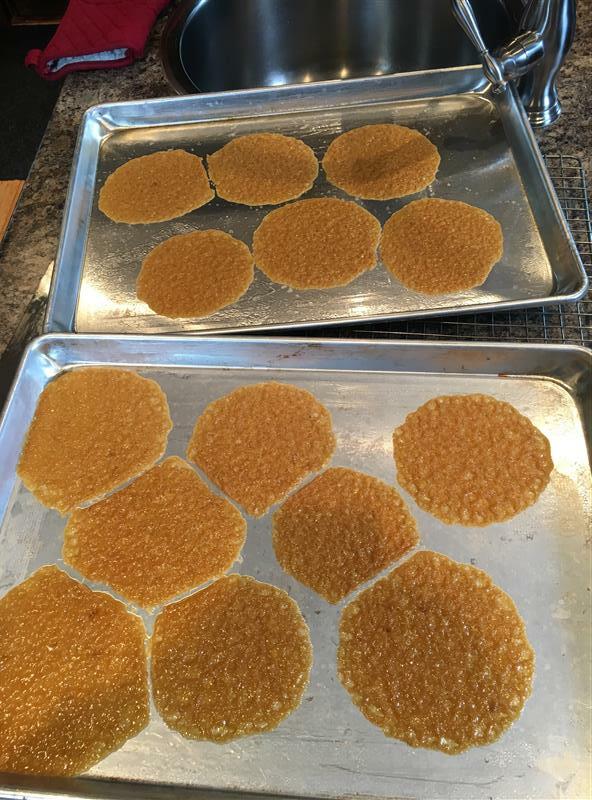 But fortunately, straight out of the oven, they were pliable enough that I could kind of reshape them and split them up using a metal spatula. 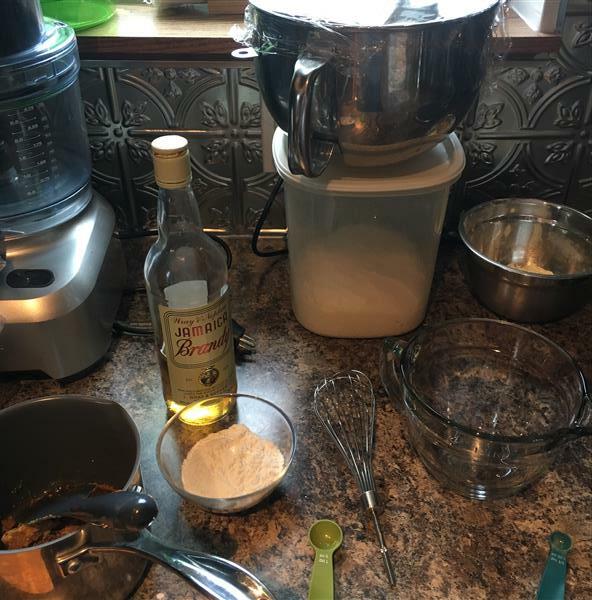 I used the handle of my whisk to shape the bigger ones, and the handle of my danish dough whisk for the smaller ones. It seemed to work out well. 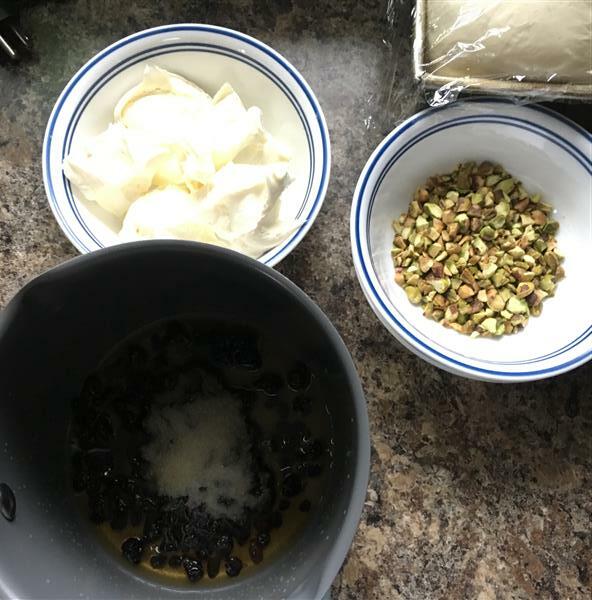 Then I made the filling: Mascarpone cheese, rehydrated (in brandy) dried fruit, and chopped toasted Pistachios. I mixed the fruit in with the mascarpone to try to soften it somewhat before mixing it in with the cooled pastry cream. Oh, yeah, that’s right, I made pastry cream, too. Once I had all of the components assembled, I stashed them away before assembling these a few at a time when they wanted consuming. 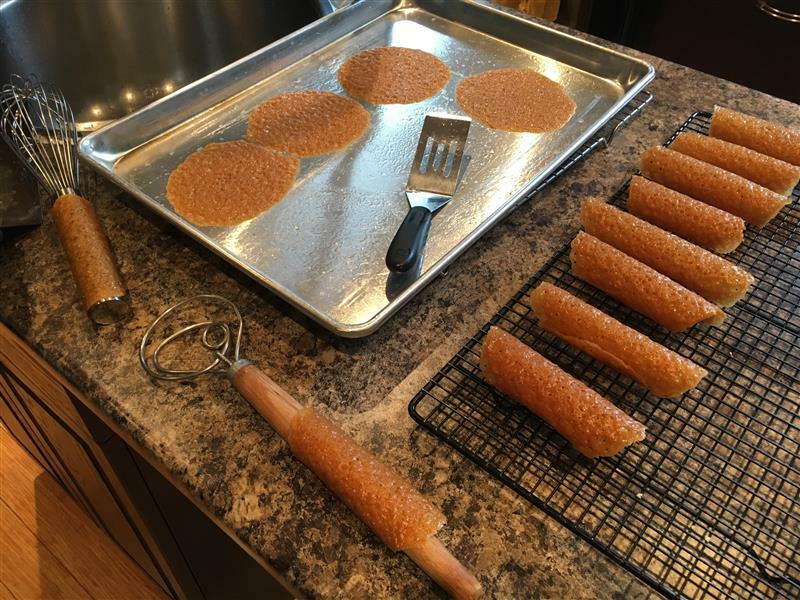 I made the first two for Jay and I for dessert after supper on Saturday night. 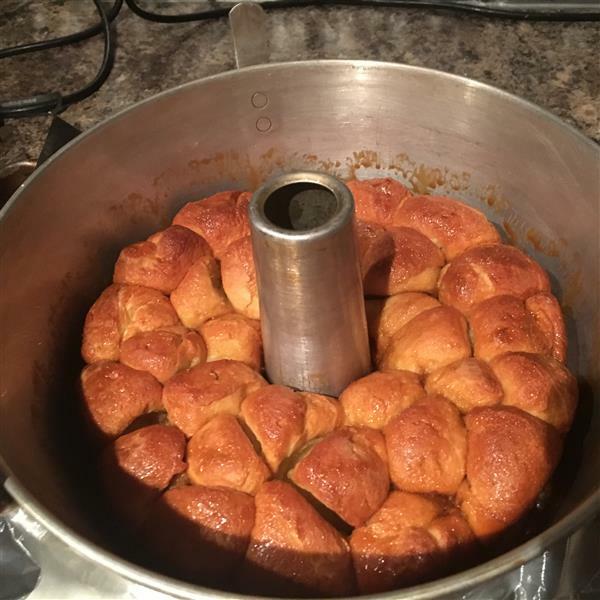 So.. that’s all to explain why the brioche dough for what was supposed to be this week’s baking sat in the fridge untouched all day on Sunday. After supper last night, I took it out of the fridge, made the dunking sauce, looked at the instructions for filling the dough balls with chocolate, said “No way!” and just made this without the chocolate, without the caramel sauce, and without gilding the lily with chocolate drizzle. 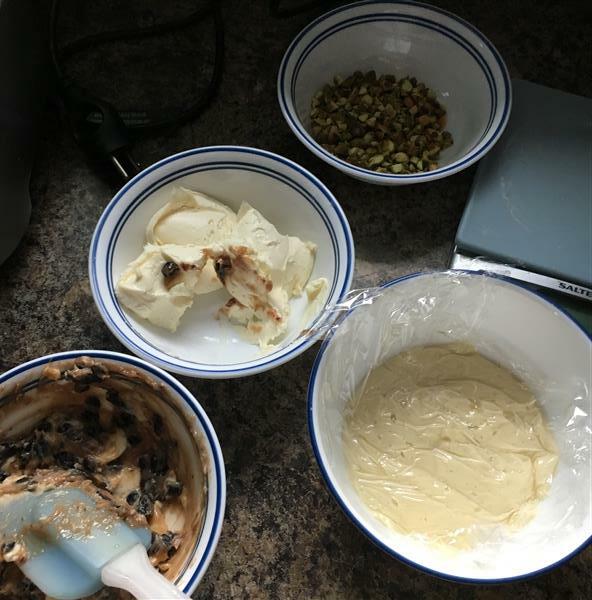 Posted on November 2, 2016 by KristinaPosted in The Baking BibleTagged brioche, cannoli, caramel, pistachio. I’m right along with you trying to play catch up. 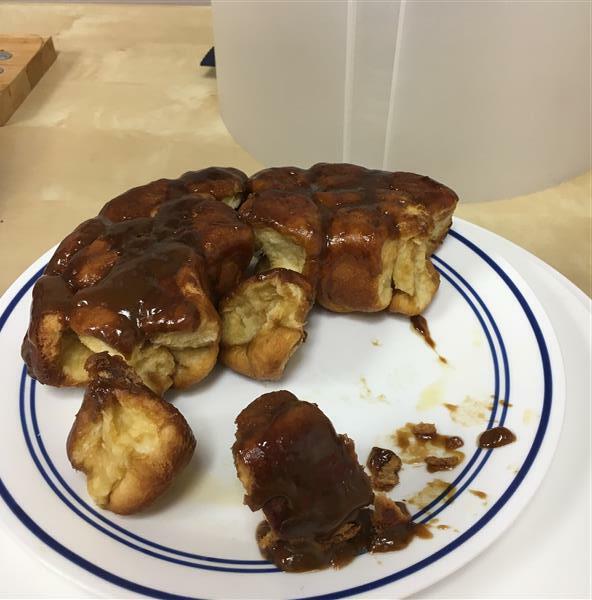 Your monkey bread sounds great for breakfast. The cannoli looks wonderful, too. That one is a little intimidating on my to do list.